Soft textured, woven and non-woven fabrics sandwiched together to create cross sectional honeycomb shapes that trap air for maximum energy efficiency and sound reduction. Cellular shades are available in single, double and triple cell designs with a variety of pleat sizes, colors and an array of distinctive fabrics that provide varying degrees of light control and privacy. 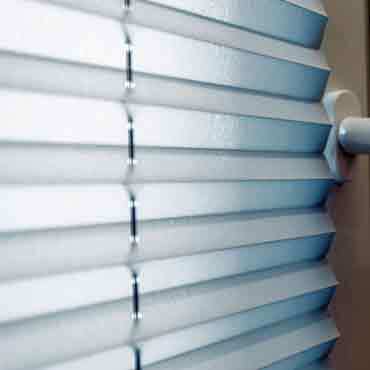 An optional battery operated remote control system allows you to operate these blinds with ease for hard to reach areas.